How do I recycle these? My relatives advised me to burn it all up, as it drives away mosquitoes. Others said to just bury it into the soil and it will compost itself away, but I doubt if this will ever happen (as these are hard shells). Powdering these shells came to my mind, but I don't know what to do with the powder either (and if my mixer grinder can sustain those hard shells in the first place). 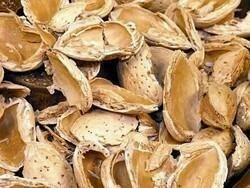 The thing is that I have nearly a kilogram of these almond shells, so I want them to the best use. Thank you for your suggestions! They compost slowly even by the standards of my undersized compost bins. But the big lumps can always go back in for another go. If you have access to a garden shredder, put them through that first. It's designed to handle wood, unlike your kitchen equipment. In the garden they can also be used as a mulch. Burn them (for heat perhaps) if you've got the means to do it. You could always store them to burn with other stuff if you use something like a fire basket outside in summer. Even a barbecue when you've finished cooking. Composting them works. I would spare your equipment the joy of grinding them up unless you want to ruin it faster. Time and exposure to moisture will break them down. I'm not aware of any mosquito-repellency from burning them, but I suppose you could burn some and make the experiment. Not the answer you're looking for? Browse other questions tagged recycling composting food-waste or ask your own question.